I never had a website because I was not able to think of a design. Dotty created the perfect design for my Massage business and the site is very professional. She created my logo and helped me to stand out in a crowd of other Massage Therapists. She tied all of my business materials together so I have a consistent look for all my business and marketing items. She is very efficient and accommodating. I am now getting highly qualified leads and my website is bringing me new business every week. 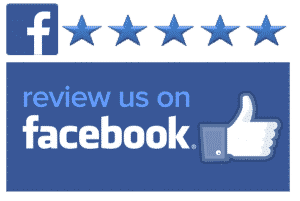 Dotty at Premium Websites, LLC has really helped my business to grow. Dotty was recommended to me by a friend as someone who would be able to help me develop a website for my 24 year old business. As a computer illiterate person, I knew going in that Dotty had her work cut out for her. She patiently waited until I understood her computer language. I now have an active web site that has already generated some business. Thanks to Dotty, everything worked out as advertised! Stockton & Associates, PC needed someone that could take an active roll in helping us monitor & manage our website. We also had a need for someone who could bring us new ideas and designs that would keep our accounting firms’ website attractive and efficient. Dotty at Premium Websites has provided us with everything that we needed and hoped for. Not only have we found someone that is very knowledgeable in troubleshooting and design, we also now have someone that understands our needs and listens to our concerns. Dotty has also been able to provided personal training with our site management which is important and along with her training, Dotty has something special, that is online training videos which are simple and comprehensive. If you would like someone that will provide these great qualities for you and your company like we have experienced, I highly recommend you contact Dotty with Premium Websites. We have been very satisfied with Dotty’s service. She took our concept for a website and skillfully developed it within our projected budget. We now have a very functional website that serves our online needs well. Dotty is very proficient in what she does, easy to get in touch with when needed, and prompt in responding to our questions or concerns. We are happy to endorse Dotty of Premium Websites. We initially contracted with Dotty to redesign our outdated website. 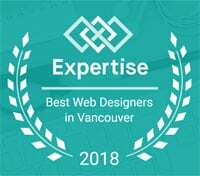 We had many good conversations with her during that process, and our overall experience of her help with our website led us to want to continue benefiting from her expertise. So we signed up for her AskDotty Online Training program. As a result, we get access to all her training videos and we have a monthly conversation with her to get our questions answered, among other benefits. We’ve been extremely happy with everything we’ve gotten from Dotty. Her personal style is warm and friendly, she’s always been able to get us the information we needed and has consistently helped us stay on the right track to meet our internet goals. We recommend her without reservation. 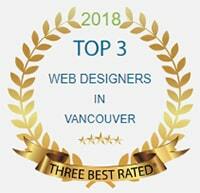 Premium Websites is my go to place for website work. Dotty has always been the best to deal with. With the phone books being of no use anymore, it is all the more important to make a great website. This allows you to tell your potential customers everything they need to know so they will select you. Premium Websites should be the call to make to get that perfect website. Dotty has not only helped me build a great site on time and at budget, she showed me how to make changes myself so that I can add new content as needed. Thank you Dotty. Just wanted to share with you how blogging has impacted my business. I’m getting new clients every day…it’s totally amazing. I’m so happy with the results. Thank you for your guidance. It’s made a world of difference. I found Dotty on Yelp and contacted her because she had such good reviews. We needed to update our website and don’t really know a thing about how that works, moving things over, etc. but we knew what we wanted and what we didn’t. Meeting with Dotty, she fleshed out those pieces and designed a website for us that really worked; professional, great colors and functionality that gave us some flexibility to manage it ourselves. She was personable and friendly, technically savvy but able to put it all into language we understood. She has blogs and tutorials to help us along the way now that the website is up and running and she is VERY responsive when I contact her through email or on the phone. I feel like we have a partner in Dotty and I can’t say enough good things about her and what she does. You won’t go wrong in working with Dotty. All I can say is WOW! Dotty is awesome! I wish we could have had more time with her, the presentation was spectacular, I learned a lot and want to learn more! This was a fantastic presentation. Dotty wanted us to at least come away with one thing to implement, but wow I have a whole list of valuable things I want to work on for my business. Thanks for sharing such awesome information, Dotty! Dotty is terrific – went the extra mile to help me; is consistently clear in her explanations. She redesigned my website, optimizing it for mobile devices and I am very happy with the results. 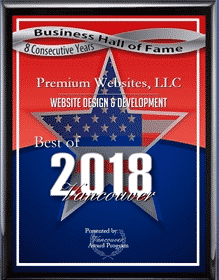 I highly recommend Premium Websites LLC Vancouver WA if you need/want a website update, design or re-design. 1) LOCAL this means when you need her she is there for you! 2) REASONABLE who doesn’t need/love this?! 5) SMART, CREATIVE & UP TO DATE – she has the ability to help your web become a serious competitor (the rest is your jobs). In the good way, competition has made our world the better world today. ***I am glad I met you!!! Dotty Scott and Premium Websites really know their stuff! Dotty worked with me as I created my site… I got frustrated, procrastinated, delayed, etc. She took what I had, encouraged me to keep writing and she would do the technical. It worked! My site was “born” and she made it happen, almost effortlessly – at least from my side. It was a delight to work with Dotty. Her soft spoken manner was not the least bit intimidating and she made her points without too much fuss! Loved working with Premium Websites. Yay Dotty! I call Dotty my social media guru. She is amazing. Period. 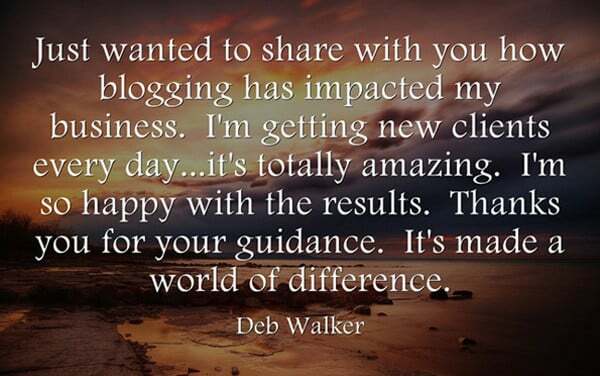 She had helped me become a better marketer and communicator for my clients. It’s been a long road because social media is so huge, growing and ever changing, but Dotty patiently worked with me, even answering my emails late at night. I highly recommend her! I was referred to Dotty after having a bit of a website nightmare previously. Not only did Dotty get my website done quickly, but she was an absolute joy to work with. After just a few quick conversations and her understanding of my business, she was able to create a website I’m proud to show off! Dotty was quick to share problems in my previous site that were affecting my SEO and followed up to make sure that everything was running properly on my end. I appreciate all of Dotty’s expertise, knowledge, and hard work on my website. I would recommend Dotty and her services to anyone wanting a great website. From now on Dotty will be my go-to source for any and all of my website + SEO help. Dotty is professional, knowledgeable, responsive and thorough! She fixed some serious hacking problems with my website and was prompt, accurate and tremendously helpful. For the small business owner, It is tough to keep up with all the advances and changes in technology, so people like Dotty are indispensable for us! Thank you Dotty for your expertise and exceptional customer service! Sitting down with Dotty is a series of “Aha!” moments focused on ways to quickly and easily improve my online presence. Amazingly, she does it all simply and humbly. I would definitely recommend Dotty to anyone looking for some guidance on their website and for social networking etiquette and impact. Plus, it’s clear Dotty genuinely cares about her clients as people, and is keen on finding ways to support them and our local economy. I manage the website & social media marketing for A-Affordable Bail Bonds. Dotty and I worked together on taking our business website to the next level. She was extremely professional, and knowledgeable. Her communication skills are excellent, very easy to work with. What is great is she is always up-to-date on the current and up & coming trends in this high tech world and conveys that knowledge to you so that you can stay ahead of the game. 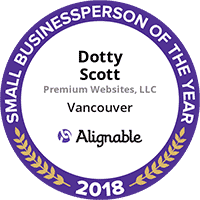 If you need help with a personal or business website, need some training, or anything else regarding the use of the internet, Call Dotty at Premium Websites, She is the real deal. The best thing of all is when your project is all said and done, Dotty isn’t just a colleague, but a friend. Thanks so much Dotty! Dotty has provided me with the resources and information to be confident that I am doing what I can do to grow my business. She continues to provide needed support and direction increasing my business development. Dotty is abreast of current trends in social media and technology to ensure your business is current with what works in today’s market. She is easy to work with and I highly recommend her to anyone who desires to exceed in today’s economy. Social Media is necessary to succeed and without it you are missing an important avenue to success. Before working with Dotty I was struggling to change my website from an online brochure to a business generating tool. I was frustrated and ended up wasting a lot of valuable time trying to do something for which I lacked the technical expertise. Dotty was able to turn my ideas and vision into a reality. She made valuable suggestions for improvement in the design and search engine optimization. Working with Dotty was enjoyable and I found her to be extremely patient and responsive to my questions and requests. I’m thrilled with the end result of our collaboration and wholeheartedly recommend Dotty and Premium Websites, LLC. Dotty does a great job of creating a website. 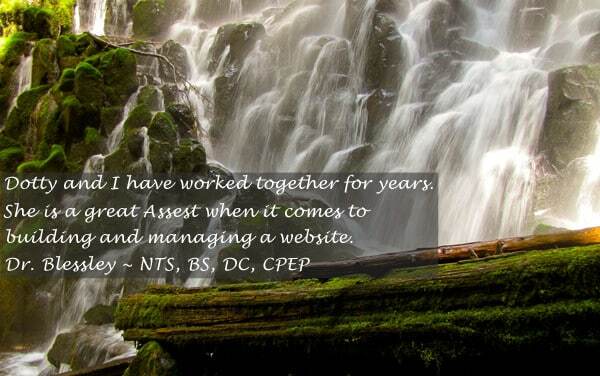 Her experience and expertise help bring people to your site. She is helpful in other areas as well such as blogging and social networking. If you want to use the internet to grow your business, I strongly suggest you speak to her. My name is Randa Kassisieh, I am a fellow “Renegade Professional”. After several months of studying the Renegade Professional Platform, I had built my own website utilizing all the webinars that were offered in the back office, that gave step-by-step instructions on how to apply the different methods and techniques to achieve an optimized website through WordPress suitable for the net and Google friendly. Dotty had conducted several of the webinars that had dealt with SEO and technical challenges, which she addressed with precision. After our conversation, I felt truly nurtured and knew what necessary steps need to be made. Dotty is not just informed with website design and technical issues, but is also a well rounded coach for advancing your marketing strategies, and creating traffic to your sites that will insure positive leads. Dotty’s honesty and professionalism encourages me to recommend her to others with confidence. ROCKSOLID “ROCKS” with a new website designed by Premium Websites, LLC! ROCKSOLID Community Teen Center is an after school program for students in the 5th – 12th grade. We are located in the Battle Ground and Hockinson School District. Early in 2008 we contacted Dotty of Premium Websites, LLC to overhaul our web design. We had a location, but the website was neither attention getting nor informative. Dotty took care of that for us. She implemented a website that is FUN to look at with pictures of the Teens that attend the Center and information about the Center for those wishing to come. The website is easy for us to maneuver and update, so we can keep the public informed of all we are doing at the Center. Since Dotty updated the website, our attendance has doubled, from approx 20 attending daily, to now 40 students attending ROCKSOLID Teen Center on a daily basis. When a parent calls wishing to enroll their student, I ask them how they heard of us. More than half of them say they “googled” after-school programs for youth and our website came up. As they looked at the website they knew it would be a great place to send their kids. Not only have we gained more student enrollment, our volunteer base it up as well. We have attracted adults wishing to volunteer and students from other schools seeing our website and wanting to fulfill their Community Service requirements for school projects. When I ask them how they heard of us, they say, “We saw your website and thought this looked like a great place to come”. I actually had two college students call me from Georgia who saw us on the internet and decided to write a paper about starting up a “Teen Center”. Most importantly, Dotty is a wonderful person to work with. She is excellent at the work she does and does that work in a friendly, professional manner. We really appreciate all the work Dotty did for us! “We were a new non-profit start-up with very limited finances and currently no web presence. I was connected to Dotty and was very impressed with the look that Dotty produced for our website. I knew it was a good website too, because I had another web design company call back asking for our business and I told them to check out our new website and they said it was well constructed. She even recommended other local companies that could help in getting us “off the ground”. I’ve been wanting to upgrade my WordPress blog to the latest version. However, I was worried about losing what I posted, plus I didn’t having the time to learn all the plug-in’s that I needed to add. So for a long time I didn’t add any new articles, and started falling behind. Then Dotty Scott came to my rescue, and not only did she upgrade my blog, but added the plug-in’s, and turned my site into a professional site. I wish I had used Dotty’s service sooner. Dotty has always received so much praise from people in our networking group and I just had to see for myself. She came into my office and with a gentle touch, helped me learn about the E-Networking phenomena that has swept over the business world. I truly appreciated her gentle approach and patience. I would recommend her to anyone who is unsure about jumping into the Social Media pool. Dotty and I worked together on my website and she couldn’t have made it any easier for me. Being a graphic designer, I knew what I wanted, but could not get a website together that worked for me. She made it easy and showed me how to mange and make changes to it myself. Dotty set it up to so I can track visitors and she suggested a blog with keywords which helps search engines like Google find me. I appreciate all her hard work on the project and would recommend her to anyone who needs help with an existing site to make it better or with a new one! She is a professional and expert in social media marketing as well. We are so thankful for Dotty and her professionalism and amazing knowledge about websites and the fact that she was able to update our website to a more attractive, professional and all-around fabulous website. We tried to accomplish this with others, but only Dotty was able to hear us and what we wanted for our website–and then delivered exactly what we were hoping for all along. Thanks so much Dotty! The work that Dotty has done on our website has resulted in higher ranking by the search engines and more viewing by the public – exactly what we wanted. Thanks Dotty! Dotty Scott is a professional who delivers. The quality of her work, customer education and commitment to service made the experience of website creation positive and encouraging. In addition to building great products, she helps her customers understand the critical ‘why’ component of using their media products effectively. 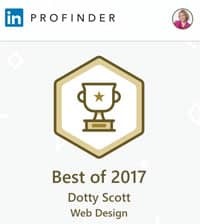 Dotty is an award winning web designer. 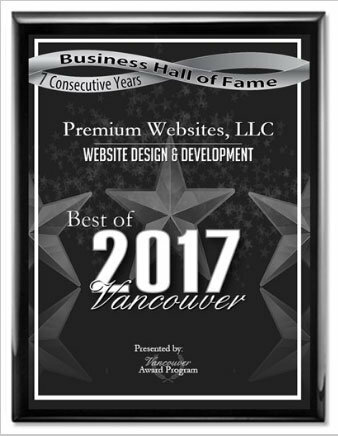 She designed and manages the website for the Fort Vancouver Lions and won the regional award (WA,ID and British Columbia). If you want your website to make a difference – have her take a look at it!